The C-Tec FP Conventional Fire Alarm Panel range has now been added to the product portfolio of The Safety Centre. This range of panels are a reliable tried and tested selection of fire alarm panels ideal for use in small to medium sized buildings. For more information on the C-Tec FP Fire Alarm Panel range call us NOW on 01200 428 410. The C-Tec FP range of conventional fire alarm control panels are housed in a robust metal enclosure and have been a solid performer in the fire alarm trade for many years. These panels have been reliably protecting many buildings in both the UK and abroad since they were first introduced. 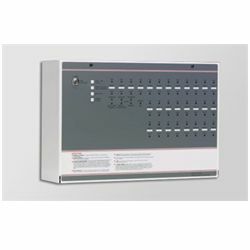 Since it’s introduction the C-Tec FP Fire Alarm Panel range has been added to. This has created a large range of fire systems and now includes the C-Tec CFP, C-Tec XFP and C-Tec ZFP fire alarm panels. This panels are not only conventional type systems but also analogue addressable type systems which use loop circuits. In addition to the range of fire panels C-Tec also manufacture further life safety products. These systems include disabled toilet alarms, call systems, disabled refuge systems, induction loop systems and dementia care systems. If you’re interested in these products you may also be interested in our Solo A3-001 and Yuasa Yucel Batteries ranges.